Octavo. x, 115 pp; color frontis, 60 b/w photographs. Light brown cloth with gilt-lettered spine in dustjacket. A clean, unmarked copy. price-clipped jacket with loss of top 2-in. of spine & bottom chipped, all corners chipped, with 3/4-in. x 1/4 in. chip at upper corner, couple of short edge tears, moderate wear to flaps & edges of backstrip. 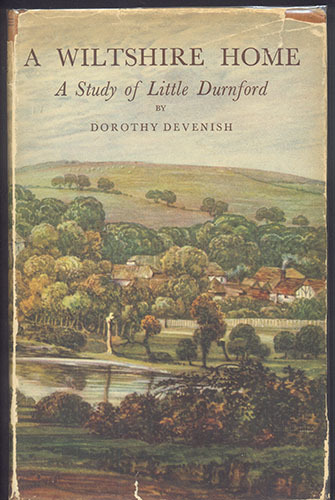 The story of the Wiltshire country house - Little Durnford, where the author spent her childhood. Introduction by Edith Olivier.